As a child did you strive to fit in? I did. Kids teased me because I couldn’t run and play the way they did. Today, I write children’s books to help build self-esteem, encourage sharing, helping others and teamwork. 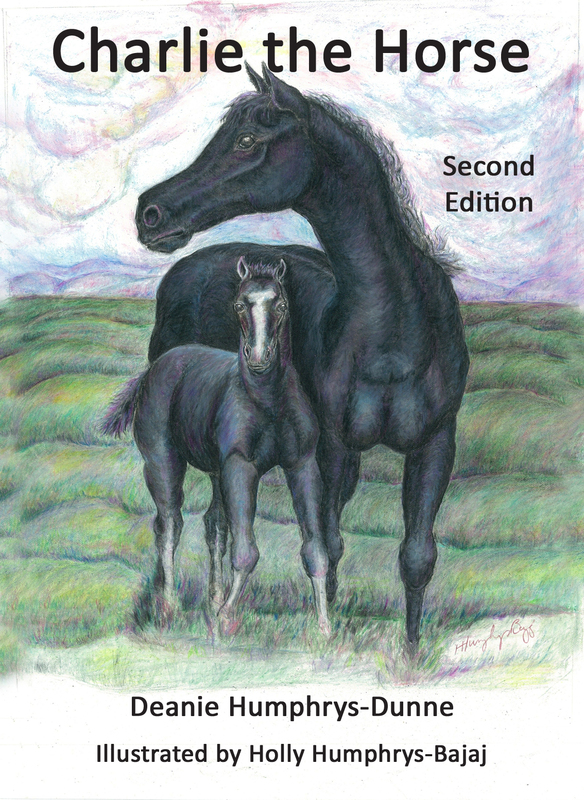 I also have written I book about a beautiful red horse named Charlene the Star, who doesn’t fit in because her friends have different talents. 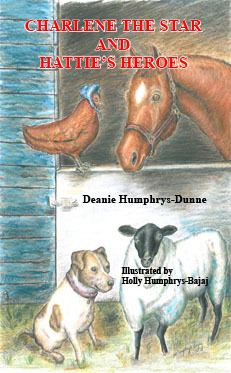 This is the first of the three children’s books in the “Charlene the Star” series. Jessica Bird’s little girl, Nevaeh, was born with a birthmark called a “port wine stain” on her face. Nevaeh is five-years-old, but she never felt like she fit in. What did her mom do? She bought a doll and painted a stain on her face similar to Jessica’s. What did Jessica think? She loves the doll. Because of the simple, ingenious idea her mother had, now Jessica feels special. Don’t you think every child deserves to feel unique and gifted? I do. I’d like every child to know he or she has amazing abilities. If we all encouraged our children to find these skills and develop them, can you imagine how happy they’d be? My parents always reminded my sisters and I we all had different skills, but no one is good at everything. For example, My sisters are excellent with anything requiring good coordination like driving a horse van or tractor. Besides, they learned any skill quickly. On the other hand, it took me much longer to learn those types of things. But while one of my sisters is an accomplished artist, I studied singing instead. Whatever I draw makes people laugh because they wonder what it is. So remember to celebrate your child’s skills, no matter what they are. Remind them anything is possible if you persevere. Coming Soon: Revised version of Charlene the Star! Charlene the Star is first in the series of Charlene the Star books. The others are Charlene the Star and Hattie’s Heroes and Charlene the Star and Bentley Bulldog. 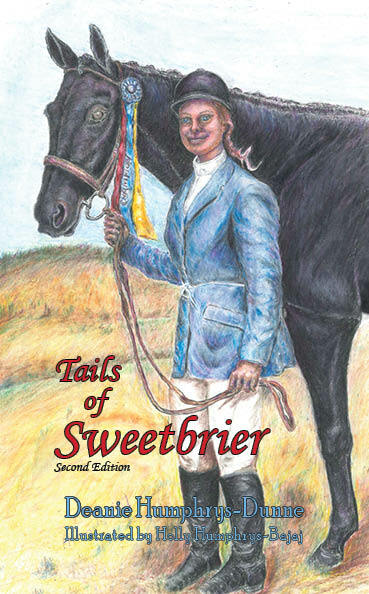 In addition, she wrote a children’s autobiography called Tails of Sweetbrier, as well as Charlie the Horse. All of Deanie’s books have won “The Fifty Great Books You Should Be Reading” award from TheAuthorsShow.com, Deanie enjoys spending time with her family and their dog, Elliott. She also likes watching equestrian events, figure skating, and baseball. Holly’s passion for Art began at an early age under the guidance of renowned artist, Ray Quigley. She earned a Fine Arts degree from Southern Methodist University. She devotes her talents to equestrian and family portraits, along with children’s book illustrations. Do you believe in setting goals? I think it’s a good idea because you have something to work toward. But make your goals realistic. Don’t write down you want to make a million dollars this week, or lose 10 lbs in a week. You want to set yourself up for success so keep that in mind. You’ll build your confidence along the way. For example, what if you want to lose 5 lbs. in the next 6 weeks? The first thing to do is write it down because you can review it whenever you want and it’ll help keep you focused. Are you an author?Write down your goals as an author. Would you like to sell a certain number of books? Write 3 books this year? Remember, add that to your list if it’s one of your goals. As a children’s author, I believe every child deserves to be inspired to follow his/ her dreams.My goal is to reach as many children as possible. 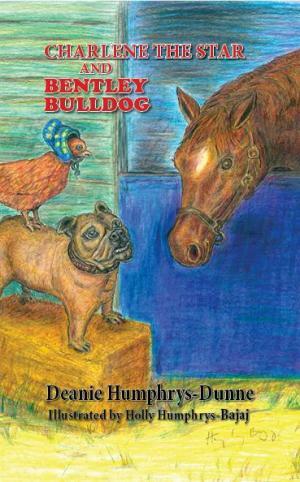 My books, Tails of Sweetbrier, Charlie the Horse, Charlene the Star and Hattie’s Heroes, and Charlene the Star and Bentley Bulldog, all share valuable life lessons like sharing and helping others. How long have you been an author? In 1981, when I sold my first writing to a regional publication Washington County Magazine, is when I consider myself first published. After that, while raising my children, I would write and then tuck away my writings, thinking that one day I might get back to writing. Then it wasn’t until after my mother died in 2007 when I was going through her cedar chest, and I found a yellowed envelope with coffee stains on it that I opened up and inside were old manuscripts that I had given my mother to hold onto. I started writing again as a method of healing the loss of my mum. It must’ve been exciting to find that envelope. I’m glad you did and so are your many fans. Is it something you always dreamed about? Yes, being a writer is always something I wanted to do, ever since being a young girl I put words to paper. I can remember sitting on the veranda of the house I grew up in with pen and pad in hand—back then, I wrote mostly poetry and haikus. My excitement for writing was realized in 1981, and it continued to grow! It’s important for everyone to follow their dreams, like you did, Virginia. You’re a gifted author and illustrator. How did you get the idea for the story? I got the idea for Buzzzzzzzz What Honeybees Do from being a beekeeper. But I would like to add to that statement because the book is dedicated to my granddaughter Abigail for a good reason. She came for a visit, and her grandfather took her to the apiary so she could get an idea of what beekeeping was all about and when they got back home, Abigail was full of questions that needed answering. Buzzzzzzzz What Honeybees Do answers her questions. It’s an informative story that children will love and value. What age range do you think would enjoy it most? While Buzzzzzzzz is meant for older aged children, I consider it appropriate for all ages. Many adults have told me that they learned things about honeybees, they didn’t know before reading Buzzzzzzzz. I learned new things from it as well, Virginia. Have you gotten comments from some of your readers? Yes, Buzzzzzzzz has many five star reviews on Amazon.com. I ‘m not surprised you’ve gotten many impressive reviews for it, congratulations. What would you most like your readers to remember about Buzzzzzzzz—What Honeybees Do? I would like readers to bear in mind that the honeybee is our greatest pollinator. And it is important to be good caretakers of these little buzzers. I certainly hope everyone remembers to take good care of them. Is there anything else you’d like to add? Yes, I would like to add that as a caretaker of this amazing insect, it is important to leave garden space to plant flowers that honeybees enjoy. If we cut all our grass and don’t plant bee specific plants, where will the honeybees find food to continue surviving? Yes, we all need to remember the little honeybees are very important to us. Thank you so much for spending time with me today and discussing your fun, educational, story Buzzzzz What Honeybees Do. “You’re most welcome, Deanie, We had a great time together. What if you have a mission and everything changes after a chance encounter? That’s exactly what happened to Jakeem Tyler, whose mission was to raise money for the homeless. Jakeem’s parents taught him to help others so he planned to raise money for the homeless. In fact, he felt so passionately about his mission even being hurt in a car accident didn’t keep him from working. While Jakeem was working at Chick-Fil-A, a customer asked why he wore a neck brace and a sling. Jakeem said he was ina car accident, but he needed to work in order to raise money for the homeless. Don’t you think Jakeem could write great children’s books about his experience? Tyler said after the car accident, he was “stiff and sore,’ but he wanted to come to work so he could complete his mission to raise money for the less fortunate. How was your week? I hope you have lots to celebrate. Thank you to Lexa Cain for hosting this blog. Please check out LexaCain.blogspot.com to see what everyone is cheering about. My husband got a new job. He’s been looking for a long time. Even though it’s not in his field, we’re glad he has it. Our son was on an international business trip and he’s home safely. Very grateful for that.